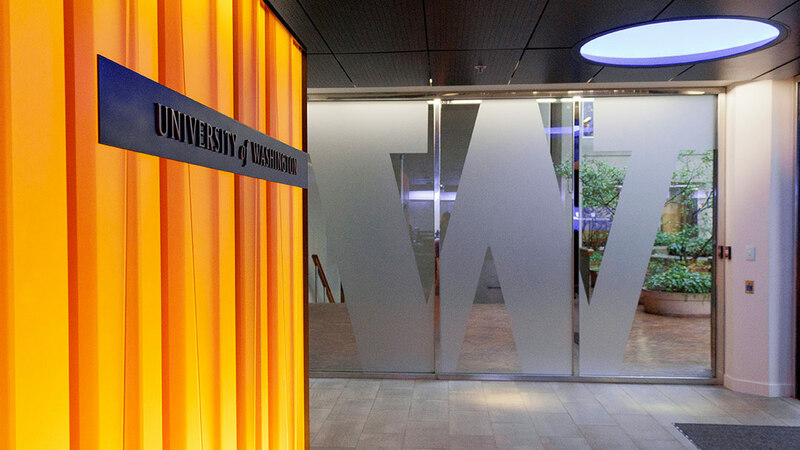 Washington Commons is a gathering space for the UW’s Alumni Association. 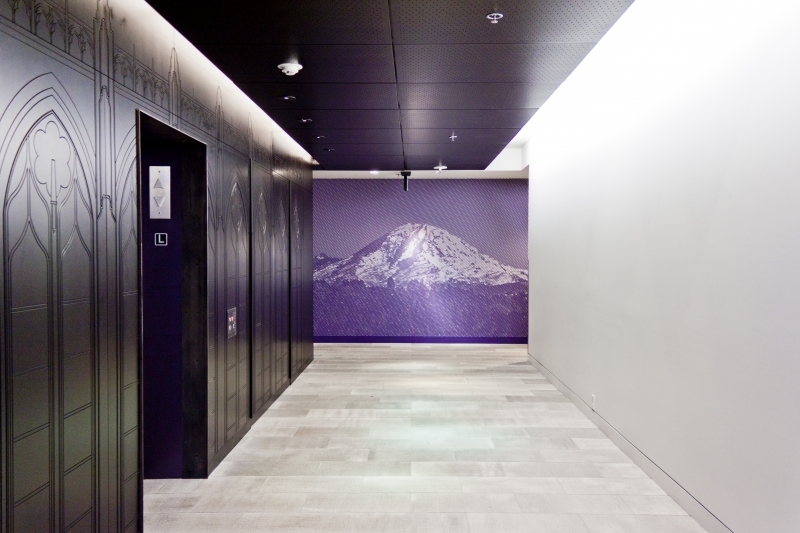 Embracing the UW’s motto, ‘Lux Sit’ (Let There be Light), the team created a jewel box from an existing office space. Dark and light surfaces, as well as illuminated furniture and freestanding walls, produce a dramatic play of light and shadow. Creating this drama in a small, remodeled space, with low ceilings and existing systems, presented challenges. 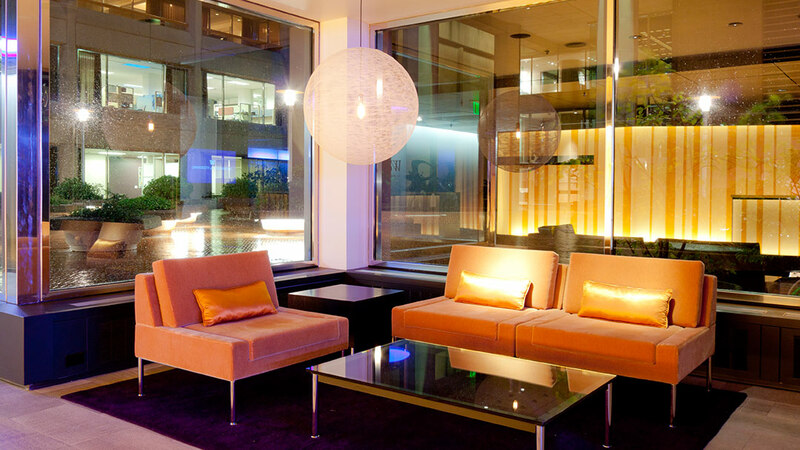 Color changing LEDs illuminate art windows and coves. 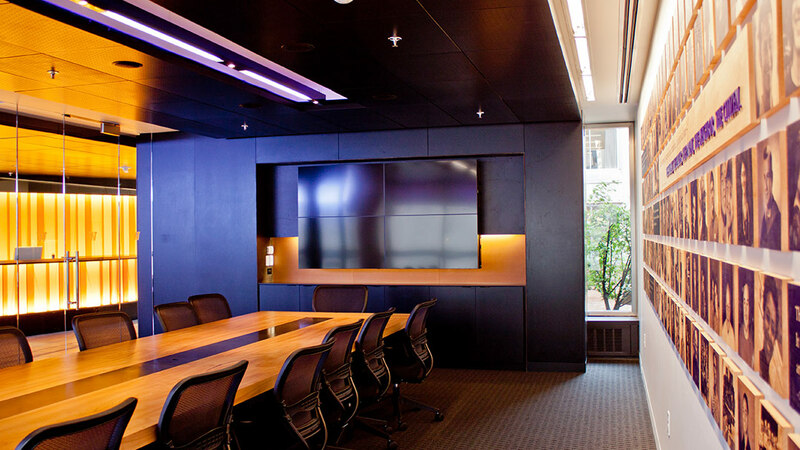 Energy efficient LED, low voltage, and fluorescent sources used for ambiance and task lighting help facilitate meeting energy code. The project is equipped with an audio/visual technology, integrated with the lighting control system.